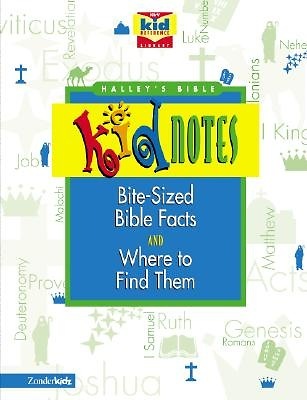 Halley's Bible Kidnotes takes the bestselling Halley's Bible Handbook for adults and makes it fun and accessible for kids who want to find answers or study the specific people, places, or subjects that interest them. It's based on the New International Reader's Version "TM" (the NIV for kids) and contains articles on reading and studying the Bible. For each book of the Bible there is verse-by-verse information, character studies, maps, charts, photographs, and timelines. It's easy to look up information on important Bible people, places, stories, and things. Halley's Bible Kidnotes -- the newest member of Zonderkidz' NIrV Kid Reference Library -- makes the Bible come alive for kids and sends them on a lifelong adventure of exploring God's Word.